There has been a dramatic increase in the number of people who are interested in cosmetic smile enhancements. More and more people are understanding that their smile speaks first, before they even say a word. We provide cosmetic dentistry in Oxon Hill to restore and enhance the natural appeal of your smile. Contact our cosmetic dental office today to learn more, or to set up your personal consultation with one our dentists. General dentistry is focused on preventative treatment, which includes general exams, teeth cleaning and fillings. Cosmetic dentistry provides corrective treatment for problems that are aesthetic in nature. Our dental office provides a full spectrum of dental care for our patients, including general exams, in addition to cosmetic dentistry services such as cosmetic teeth whitening and smile makeovers. We work with our patients to make sure they have the healthy smile they need plus the gorgeous smile they want. Advances in technology mean that the results you can achieve through cosmetic dentistry are more natural-looking and long-lasting than ever before. What Procedures Are Considered Cosmetic? Even small improvements in the look of your teeth can make a big difference in your overall appearance, that’s why cosmetic teeth whitening is such a popular cosmetic service and one that we’re happy to provide. We can replace unsightly metal fillings with tooth-colored fillings that blend perfectly with your natural teeth. Additionally, our dentists can improve the look of misshapen or badly stained teeth with veneers or crowns. The aim of cosmetic dentistry procedures is to address any aspect of your smile that you don’t like so you can stop feeling self-conscious. Listed below are the cosmetic procedures we provide. 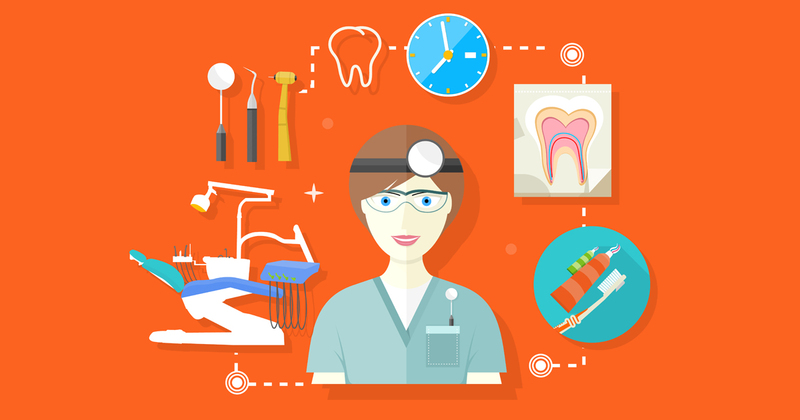 What Should Be Covered by Cosmetic Dental Insurance? Dental insurance covers work that is performed to maintain and restore the functionality of the teeth. Many cosmetic procedures are performed to improve the appearance of the teeth and smile but are not medically necessary. For that reason, most cosmetic dental work is usually not covered by dental insurance. You may receive some coverage for cosmetic improvements if those improvements are also restoring the tooth’s functionality. Always contact your insurance company to confirm whether or not a particular cosmetic service will be covered. If you’re looking for, “Cosmetic dentistry near me,” because you want to transform your smile, you’ve already taken the first step toward stunning results. Our cosmetic team makes it easy for all our patients to attain attractive smiles, no matter what aspect of their dental appearance they’re not happy with. We believe in being your partners in dental health, and our friendly staff will take the time to answer all of your questions and explain your treatment plan in detail. Call us today to discover how we can brighten your smile. Each patient’s cosmetic dentistry cost varies because it depends on the services the patient requires to enhance the color, alignment, shape, or general appearance of their teeth. The best way to find out what your cost will be is to schedule a consultation at our cosmetic dental office. We’ll provide you with all the information you need at your initial visit so you can make an educated decision about your treatment. Call to set up an appointment to learn more about affordable cosmetic dentistry.